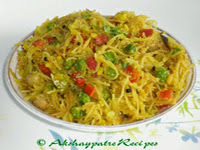 Collection of upma or uppittu recipes -Upma is a South Indian dish prepared in every home with their own versions. 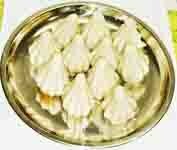 It is served for breakfast and easily pack in the lunch box. Very simple and quick to prepare dish. When suddenly guests or friends visit, without any second thought you can make variety of upmas by using easily available ingredients like semolina or rava, broken wheat, vermicelli, oats etc. 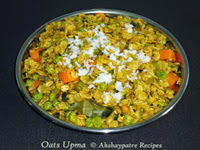 Oats upma - Oats vegetable upma is a delicious breakfast snack, which I make often and it doesn't need much of a preparation. It is so easy and gets ready within 25 minutes when the ingredients are readily available in the kitchen. It is a filling and healthy snack usually served with hot coffee or tea. 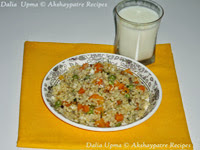 Dalia or broken wheat upma - Dalia upma is a simple and filling breakfast dish prepared with broken wheat. 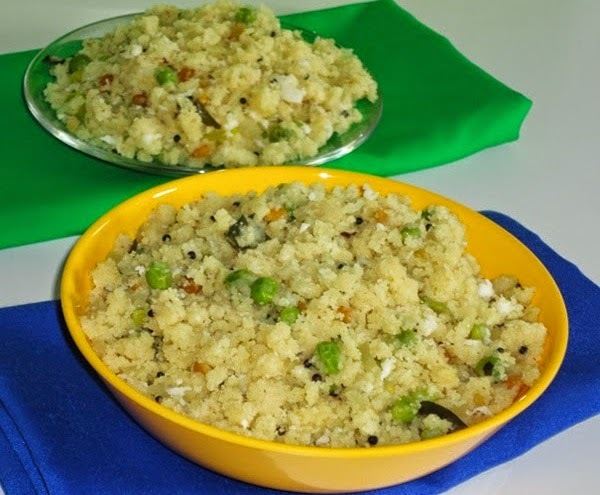 This upma is an ideal breakfast dish. I prepare it once in a fortnight. 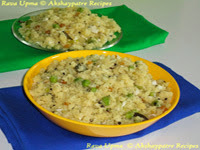 Rava or semolina upma - Rava upma is a South Indian special breakfast dish. I make it often either for breakfast or in the evening as tea time snack. You can add vegetables like carrot and green peas to this upma to make it more healthy and tasty. is so simple to prepare that you can try for evening teatime snack.